Every Super Bowl party I've been to always has a store bought kinda sad looking plain plastic container filled with hummus. Sometimes people splurge for the fancier more delicious ones, but at the end of the day, the mandatory "healthy option" has made it to the table. 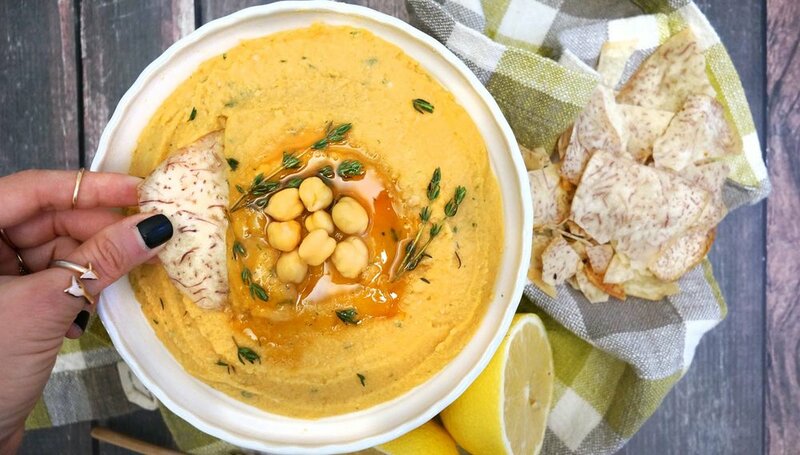 My goal is to make this year's Super Bowl hummus a winner! 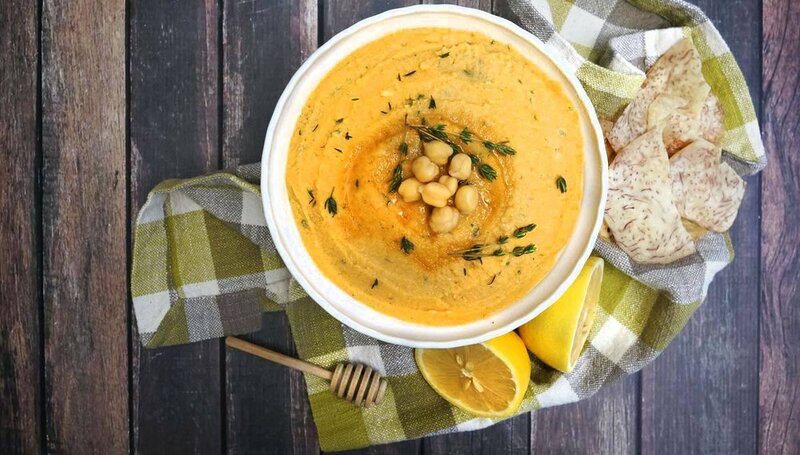 Yeah, people will be tentative to take their first bite—because, well, hummus—but once they dig that first chip, carrot, celery stick or what have you into this hummus, the'll be hooked! 1. BLEND IT. pour your chickpeas, chickpea water, garlic cloves, hot sauce, honey, thyme leaves and salt into your blender. Use your lemon juicer to add your lemon juice. Blend until you have a smooth and even creamy texture. 2. BOWL IT. use your rubber spatula to scrape all of your hummus into the bowl you plan to serve it in. Drizzle your honey in a spiraling circle on the top of your hummus. Scoop your remaining tbsp of whole chickpeas onto the center of your honey spiral.